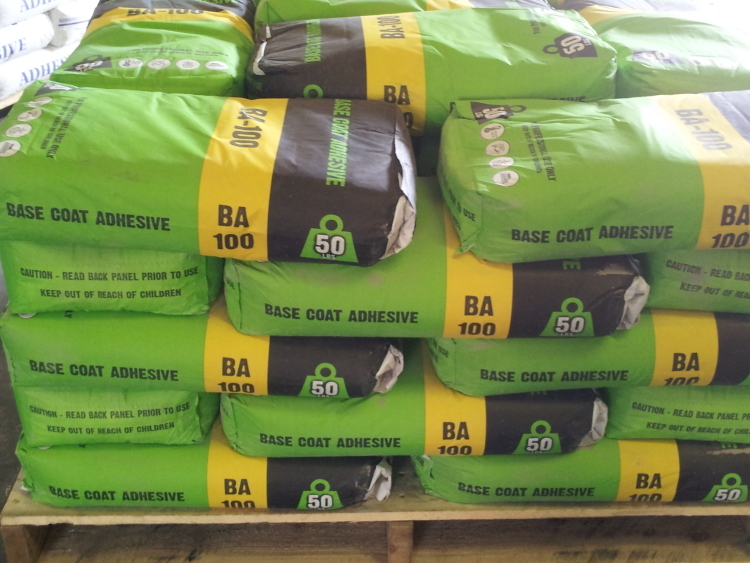 An engineered premium dry base coat with superior strength and flexability blended with grade 100 aggregates promoting superior ease of application. The micre fibre in this base coat not only dramatically increases strength and flexibility but also enhances the bond between the base coat and finish producing a superior finished product. 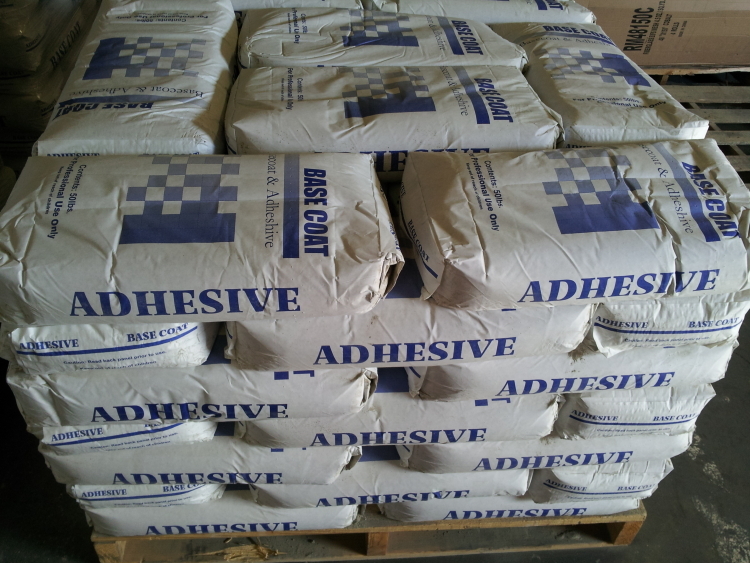 Standard dry base coat / adhesive at very competetive pricing. This is a great value and is blended with a grade .75 aggregate. This is a specialty product that eliminates the need for primer with light colors and decreases the wall temperature during hot weather to aid in extended set and work time with finish materials. On a 75 degree day wall temperatures can reach 140 degrees with standard base coat. Our white base coat can drop the exterior surface temperature to under 100 degrees. This dramatically increases productivity.